Hopefully your group will be happy and positive, but chances are the stress and the rush will make for a difficult time for all. This is the fourth part of a series on coordinating a bug-out action among a group of people who hope to all travel together to a retreat location. As we’ve commented before in this series, the more people in a group, the massively more complex any attempt to manage and coordinate them all becomes. Add to that the extraordinary high stress level everyone will be experiencing, and add still further some unexpected problems that may be interfering with your bug out process as part of whatever event it is that caused you to bug out, and no part of the bugging out will be easy or simple. You need to get your group members to accept some discipline and constraints during the bug out process. Right from the decision to bug out being made, everyone’s lives are massively changing and the world has instantly become a much tougher and less forgiving place, and there will be less time for discussion, and a more urgent need for (appropriate and coordinated) action. People have to become responsible for themselves, and realize that there won’t be any second chances or other people to blame for their actions in this less forgiving future. That’s not to say you should start acting like a parade ground sergeant major in a bad mood, and whatever you can do to give kindly reassurance and to radiate calm yourself will go a long way to help your group members, and give them confidence in you, and help them accept your advice and directions. Earlier articles in this series have covered how to keep in contact with group members, and how to make and convey a decision to bug out. We’ll continue the narrative from the point where you’ve advised everyone that a bug-out has been called. Don’t think that after having told each group member of the bug-out decision, then you have done all you need to do. It would be very valuable to keep in touch with everyone as they make their way to the rendezvous point. After all, the group as a whole is weakened if not everyone can join up with the group, and conversely, it is strengthened if everyone can join in. So for the good of the group, as well as for the good of the individual members, you want to ‘quality control’ every part of the bugging out process. Traffic and tactical condition reports can be shared among group members as they make their way to the rendezvous point. That might prove to be very helpful and will help group members make realtime decisions about which route to take to the rendezvous, based on reports from other group members about traffic and safety issues. And, worst case scenario, if something goes wrong with someone, they could tell you ‘Sorry, we’ve been blocked in by stalled traffic and don’t think we can make it in time, don’t wait for us’ and that would free the other group members to leave sooner. It also means that rather than sitting, waiting (and doubtless worrying), with no idea of where people are and when they might arrive, the group at the bus knows, with regular updates, where their other members are and how soon they expect to arrive. That helps everyone to feel slightly less helpless and slightly more ‘in control’ – or, at least, informed. We precede this with a reminder that group members have an obligation to the group to participate in the bug-out event, and to do so in the most practical and positive nature possible. Each group member both gives the other group members added safety and security, and also receives the same back again, but this concept assumes that all group members have optimized their bug-out actions so as to be least likely to have problems and most likely to be able to participate fully. So this fairly means that all group members can be expected to conform to certain group norms and expectations. With that in mind, you should have both a list of ‘mandatory’ items that people are required to have with them when the group bugs out, and also a ‘maximum’ restriction on how much people can bring with them. If people are bugging out by car, the mandatory items would clearly start with ‘sufficient fuel for the journey plus an emergency reserve of extra fuel’, and might extend to essential spares for the vehicle, perhaps some defensive equipment, bad weather clothing, and anything else that would be prudent or necessary for the journey. The maximum restriction in such a case would probably only be something like ‘no more than you can conveniently fit in your car’. If people will be sharing cars, then the maximum restriction needs to be better understood. There’s a huge difference in space per person when a car has two, three or four people in it – two people gives each person half the trunk and half the back seat – probably more than they’ll need, but four people gives each person one-quarter of the trunk and no space inside the vehicle at all – quite likely less space than they want. If people will be on a group coach, then you will need to set limits on the size and weight of bags to go in the cargo bays and to be brought onto the coach. Needless to say, you probably won’t be obsessively checking every person and their vehicle for all mandatory items, but also needless to say, if a person suffers problems on the journey due to not having some item that was required, then that would be their problem, not a group problem. This might sound harsh, but it has to be understood and accepted that people who fail to comply with the requirements will be expected to suffer the consequences, and the safety of the group absolutely will not be compromised due to a group member’s noncompliance. While this might seem to be ‘cutting off your nose to spite your face’ – as we’ve said before, the group is strengthened by having everyone participate successfully, and weakened by anyone who fails to come, it could also be thought that a person who fails to comply with the clear list of procedures and protocols for the bug-out is likely to pose additional nonconforming problems at the retreat. Consider it ‘evolution in action’ if such people are lost on the way to the retreat as a result of their noncompliance with group policies. In a post-TEOTWAWKI situation, there will be no ‘safety nets’ and ‘second chances’ for people – or for the groups they jointly make up. If people make mistakes, or do the wrong thing, they may suffer grave consequences – as may also the other people in their group who are relying upon them to do their necessary part of the group’s survival plan. If something is broken through misuse, there’ll be no going to the store to get another one. If something is wasted, you can’t replace it tomorrow. The concept of being responsible for oneself and one’s actions and their consequences – a concept currently out-of-fashion in many parts of our society – will need to be revived and accepted, for the good of the individuals directly, and for the good of the groups they belong to. For example, a person can no longer say ‘it is your fault for not explaining this clearly enough and warning me about the dangers’. Instead, the situation will be ‘it is your fault for not asking for clarification if there were things you didn’t completely understand’. That is a huge paradigm shift which you’ll have to clearly spell out to everyone joining you. The only slightly counter-balanced concept to this is that the loss of a person weakens the group as a whole. The group needs to protect itself wherever possible and prudent, but the degree of risk the group will accept in order to save a member will be ‘appropriate’ rather than extravagant. To rephrase that last statement another way, the current concept of ‘there is nothing more precious than a(ny) human life’ will need to be revisited. These are concepts very much at odds with today’s mainstream thought. You need to understand the reasons for these changes, and get them accepted by everyone in your group. We’ll talk more about this in other articles, outside of this specific article series. If you have multiple vehicles all traveling to the same destination, the chances are you’ll end up with one vehicle that has only one or two people in it, and others with three or four. It makes tactical sense to have the same number of people in each vehicle, or at least to have a minimum number in each vehicle – a minimum of two, three is better, and four better still (see our article on convoys for a discussion of each person’s duties/role). You might consider having some people leave their car behind and consolidating into fewer vehicles with more people per vehicle. If there is room in the vehicles (after whatever supplies might be loaded in) and if there are already a reasonable number of vehicles in the convoy, this would be good, but if you have very few vehicles, you probably would prefer more vehicles in case any get disabled on the journey. Needless to say, if consolidating, eg, a vehicle with one person and a vehicle with three people, don’t automatically assume the person by themselves should go join the group of three. Make that decision based on the suitability of the vehicles, and perhaps also based on who you’d feel most comfortable leading the group. Maybe the group of three should go join the individual. 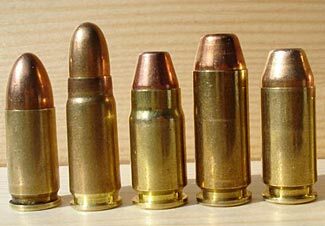 You might also want to equalize stores over vehicles, for even loading and even dispersion of critical supplies, meaning that if something bad happens to one vehicle, you don’t find yourself having lost your entire supply of some vital thing. One more thing about stores. Ideally, everything you need is already at your retreat. The only things that your group should be bringing with them now are ‘comfort’ items (and some perishable fresh food, perhaps) that aren’t an essential part of ensuring a comfortable life at the retreat. By all means, if there is spare space in a vehicle, and if it doesn’t slow down the bug out process, of course people can bring more stuff with them, but the priority, in coordinating the vehicle load out, is to get at least two, preferably three, and ideally four people per vehicle, and if you do that, there’s unlikely to be much remaining space for stores. A note of realism too – the chances are that you won’t have much time to finesse these details – as soon as everyone is at the rendezvous point they’ll quite understandably be keen to move out. So the more that is pre-planned prior to the bug-out, the better. We again return to the fundamental truth about how group dynamics become massively more complicated, due to the growing nature of the group and its lack of experience interacting closely together with each other. This needs to be anticipated and avoided, as much as possible. One of the ways of countering and controlling these complications is to have as many things as possible planned and specified in advance, and we’ve been talking about many of these issues in this article. But, invariably, there will be many things arise on the day that you had not earlier considered or planned for. So, what do you do? You carry out ‘dress rehearsals’. You do practice drills, at different times of the day and night, and on different days of the week, and in different weather. You can’t push too aggressive a schedule of drills of course – consider how sullenly many people respond to fire drills to see how some people will quickly be turned off by army drill type repetitive practice. You can also selectively practice with just one or two group members. Maybe you have an arrangement whereby when you hold a full group practice, the last two car loads of people to arrive will be required to do an extra practice the next week, or something like that, so as to motivate the group members. A fun thing like ‘the first third of the people who arrive will have drinks bought for them by the last third’ would also add an edge to the event, but probably there will be some people who just because of their location relative to the rendezvous will always be first. The practice times should be in morning and evening rush hours, on weekends, late at night, on hot days and in the snow. We suggest that the group should agree on a window of time, at some point during which, a practice rendezvous will be called. The broader the window of time, the better, so people aren’t ‘cheating’ and being ready to rush out the door, all ready to go. There’s another, more subtle reason for practicing (and planning). The bug-out process will be high-stress for everyone. The more that people have practiced, the more comfortable they will be with the ‘real thing’ and the better they will perform. That much is perhaps obvious (but can’t be overstressed). The more subtle thing is that the more practiced you are, as group leader, the better you will be able to lead, and the more calm and confident you can project yourself. This will calm and soothe your group members, and also encourage their compliance with your requests. Sometimes you might just practice having everyone get to the rendezvous. Other times you might then drive some distance in a convoy too. Perhaps you might even create some ‘thought experiments’ and announce that roads are closed and require people to divert, and randomly declare vehicles to have problems. For sure, you want to have everyone skilled at changing tires, and maybe you could have an occasional fan-belt break scenario too. When people turn up in their vehicles at the rendezvous point, you should also do safety checks on the vehicles and their spare parts. Are all fluids topped up? Are fan belts and hoses in good order and condition? Sufficient tread and inflation on the tires? And so on. Remember the saying ‘Proper Prior Planning Prevents Piss Poor Performance’. Remember it, and then adopt it! This is the fourth part of a six part series about bugging out as a group. Please now read on through the other parts of this series. You may need to use many different forms of communication when attempting to reach your members prior to bugging out. This is the third part of a series on coordinating a bug-out action among a group of people who hope to all travel together to a retreat location. A key part of making a bug-out decision and then implementing it is communicating with group members. You need to be able to have good communication to go through whatever type of consultative process you do so as to decide when to initiate a bug-out, then you absolutely need to ensure that everyone in your group knows about the bug-out, and you will want to keep in touch with them as they move to the rendezvous location. No matter what the emergency situation that is causing you to consider bugging out, it is likely that it will be accompanied by increasing difficulties of communication. You should have a group communication plan worked out, whereby you each know how to contact other group members, and you establish a series of alternate methods of communication. For example, you might agree you’ll try to contact first by cell phone, second by landline, third by Skype, fourth by other messaging programs (Yahoo, ICQ, or whatever else), fifth by text message, sixth by email, and seventh by wireless radio (or whatever other process you agree upon). There are other ways of getting in touch too – other cell phone type messaging products such as TextPlus and WhatsApp and Google’s messaging program. But these are layered on top of basic cell phone data service – if there is a problem with cell phone data, then they will not work. It is best that you have a way to send out a group message quickly to everyone, and then if the situation allows, follow up with interactive calls where possible to make sure each person gets the message. Those people who you can’t interactively contact should be sent messages by all non-interactive methods (ie text message, perhaps through multiple text messaging services, and emails, perhaps to multiple email addresses). You should also send out radio messages – hopefully having them acknowledged too. Clearly, with an interactive message system, you know for sure if the message has been received or not. When you’re communicating via a non-interactive process, you never know if the person got the message or not, and that leaves a very uncomfortable area of ambiguity. Did they get the message or not? And should you keep trying to contact them every which other way? Now for a very important thing. You and your group need to understand that the responsibility to convey a message successfully lies not with the person sending the message, but with the person receiving it. In particular, if a person forgets their cell phone, or if its battery dies, or if it is on silent mode, or out of coverage, that is their fault, not the fault of the person trying to send them a message. You as the sender of the message will of course do all you can to get the message to everyone in your group, but once a schedule has been set, there might come a time when you’ve not even be able to reach people before your group is due to depart, or possibly you’ve reached someone late, and they say they can’t make it to the meeting point in time. That is not your fault, that is their fault, and the rest of the group can’t have their plans and safe travel arrangements threatened by the failure of some group members to keep adequately in contact. Make sure everyone understands these ground rules. If they do, they will become more active and less passive when it comes to being contactable. If you are communicating by radio, you should not use real names or addresses, unless you want to have all sorts of uninvited and unwanted guests arriving at your rendezvous point as well. You need to have agreed upon frequencies for your radio contact, of course, and agreed ‘clear code’ terms to use if communicating by radio on a public channel that other people will be listening to. It is illegal to use code when using radios, and if you do use code, you also attract interest. Better to use plain language that sounds sort of sensible and doesn’t make other people wonder who you are, where you are, and what you’re doing. Just be vague about the details of what you’re arranging. Talking about ‘our club meeting’ instead of a bug-out, and talking about ‘Alan’s place’ as a reference to the first possible rendezvous point, Bill’s place for the second alternate, Charlie’s for the third and so on (the first letter of the name indicating the location number) also sounds normal. That sounds reasonably normal, and in the course of the conversation you’ve advised that a bug-out is being called for today at 5pm at the fifth possible location. Some people would go even further and say you should obscure the time, too – perhaps by specifying a time two hours later than the real-time you’ll meet – for example, if you are meeting at 3pm, you would say 5pm, and everyone would know to take two hours off the stated time. We’re a bit ambivalent about that. Our concern is that no matter how much you train and practice, there’s a danger that someone will forget about the two-hour time shift and turn up at the wrong time – they will add rather than subtract, or forget to do either. Better just to obscure the location and not worry about specifying the exact correct time. The message you need to convey to your group members is very short and simple. The group has decided to bug out, and you simply need to confirm the rendezvous point and the rendezvous time. Probably you’ll have pre-agreed upon one or two or three possible rendezvous points, so you won’t even need to spell out the location and directions in any detail, all you need to do is tell them which rendezvous point will be used. A text message could simply be “GOOD LOC2 3PM” – the ‘GOOD’ being an acronym for the phrase ‘Get Out of Dodge’ (as in ‘we are about to bug out), ‘LOC2’ means ‘meet at the second location’, and do we need to explain what 3PM means? Keep messages short. You don’t have time to chat – you can do that when you’re safely at your retreat. Most people would prefer a rendezvous point to be on the outskirts of the city and on the same side of the city as you’ll be proceeding towards the retreat. It would help if there were somewhere appropriate for group members to park their cars if you were all then going by shared community coach – a park and ride facility would be a good choice. If you are driving in convoy, then that isn’t so much a consideration and you just want a safe place where you can wait until everyone is present. Depending on the exact situation of your city and where in it your members are located will depend on where you choose as a rendezvous point. You want to minimize the distance that members travel alone to the rendezvous point, but you also want to minimize the time that any of you are in the most perilous inner parts of your city. Sometimes it might make sense to have two meeting points. This depends on the layout of the city area you live in, where your group members are located around the city, and where you’ll all be traveling to. If you have two meeting points rather than one, be careful not to make things overly complicated, and be sure that there really is good value in having two meeting points. Usually there isn’t. If you are grouping together to travel by coach, it becomes more important to protect the safety of the coach, and so to rendezvous a bit further out of the city center. One thing we suggest you don’t do though is make it a group matter to coordinate things within each family or ‘carload’ of people who are traveling to the rendezvous point. Each group member has their own personal responsibility to arrange their own travel to the group rendezvous point. If some group members want to arrange among themselves some sort of one-on-one coordination of travel plans, that is between them. The responsibility of the group, for the group, only starts when people reach the group rendezvous point. That’s not to say you would be unhelpful, on the actual day, if a group member said ‘Help, my car is stuck in the parking garage and the door won’t open, is anyone able to collect me?’ You’d of course help them to find any alternate way to get to your rendezvous point, but only if it didn’t delay the departure time or imperil other group members. To put this another way, the group has one or possibly two official rendezvous points. If people want to create sub-rendezvous points where individuals meet up prior to continuing on to the main group rendezvous point, that is fine, but those arrangements should be direct personal arrangements, not part of the group meeting plan – otherwise, things will become massively too complicated with too many different rendezvous points and dependencies. The group has its main meeting point or two, beyond that, people do whatever they want, however they want, to get to the group meeting point. This is the third part of a six-part series about bugging out as a group. Please now read on through the other parts of this series. Coordinating and controlling a group of people in a high-stress bug-out situation will be difficult. This multi-part article series follows on from our series about a group using a bus as a bug-out vehicle. We have written this article series so it applies both to a group traveling together in a bus, or to a group traveling together, in a convoy, but in separate vehicles, individually. If you are planning to bug-out as a group with other people, – maybe all in a bus, or maybe all in private cars, then it is good that you will have other people to support your bug-out process, but the new group dynamic exposes you to some new potential problems. It is close to accurate to say that the complexities and challenges of organizing a group of people increases with the square of the number of people in the group. In other words, if you double the number of people, you multiply four-fold the challenges; if you triple the people, you make the problems nine times larger! But your challenge is not just the added complication of ‘herding cats’ – or, in your case, getting a group of probably fairly independent self-willed people to work in unison; your problem is also that the group will ‘think’ and decide issues on a very different basis to what you are used to either in a family or work environment. In your immediate family/personal social group, you have, over the years, established unspoken but understood roles and processes for resolving issues. Maybe the wife generally handles some parts of the family’s life, and the husband focuses on other aspects, and the children know what they can and can’t do and when they need parental permission. Furthermore, the family has both a history and a future. That means that, for example, a married couple creates a series of ongoing compromises and swaps – ‘I’ll agree to this thing you want, because you agreed to the thing I wanted last week, and I know you’ll agree to another thing I want next week’ – that sort of thing. So each conflict or decision/compromise is not a ‘stand-alone’ issue, it is part of an ongoing process. It is also fair to say that most decisions or conflicts in a family environment aren’t of huge massive life-changing importance. Do you paint the bathroom green or pink. Do you eat chicken or beef tonight? Do you want channel 45 or 76 on television? Do you vacation in Mexico or Florida next? You could probably live with either choice in all these scenarios. Now compare these dynamics to your group deciding when to bug-out. This is a huge high-stakes decision, almost literally a life and death decision, and also a one-off decision. The thought of ‘I’ll compromise about this and let the other guy get his way, because he did a favor for me last week/next week’ doesn’t apply at all, and the perceived downside ‘cost’ of accepting a ‘wrong’ decision is huge. So when you and some other people all get together to discuss and debate things as an amorphous unstructured group, you invariably get one of two different, but both dysfunctional outcomes. The first outcome has everyone being painfully polite, and deferring to everyone else, with the group ending up in what seems to be happy and consensus agreement on an issue, with some sort of middle point compromise. That might seem like a good thing, but studies of group dynamics suggest that this compromise is probably an outcome that no-one actually wants. This is best encapsulated in the fascinating and amusing story of ‘The Bus to Abilene‘. If you’re involved in any type of group decision-making, you need to guard against your group taking its own ‘bus to Abilene’. The second outcome is quite the opposite but still ends dysfunctionally. With the second outcome, people ‘stand their ground’ and refuse to compromise or consider other perspectives at all; vociferous arguments fly around the room, and people almost come to blows. Either the group ends up agreeing on nothing at all, or the group splinters with people saying ‘You do whatever you want, but I’d doing this’ for their respective preferences. Sounds a bit like Congress, doesn’t it. Neither of these outcomes is acceptable when you’re trying to get agreement on when to bug out. In the first case, you end up ‘agreeing’ on a strategy that no-one actually supports and which is probably inappropriate. In the other, the group fragments with people doing their own thing their own way, and the underlying premise – ‘we all bug-out together for mutual safety and support’ is destroyed. So we know that families can usually (but not always) agree on things, whereas ad hoc groups often (but not always) can not. There’s one other form of group to consider, and you’re familiar with it already – a workplace type group – a structured group with a clearly understood hierarchy, authority, responsibilities, duties, accountability, obligations and consequences. It is in its clearest form in a military organization of course, but just about every workplace, unionized or not, ’employee owned’ or not, still has a clear hierarchy and all that goes with it. While we know plenty of cases of companies (and armies) making colossally bad decisions – there’s no guarantee that a corporate or military hierarchy will get things always fully correct – at least they can and do make decisions, and at least the members of the company or force then comply and implement the decision. In your case, you want your group to be able to make an appropriate decision, in a timely manner, and to have the group members then accept the decision and comply with it. An amorphous structure clearly won’t guarantee this, a family structure is not feasible, and so that leaves the concept of a hierarchical structure as one which the group should adopt. 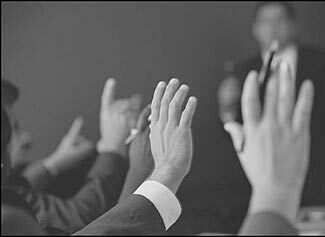 Your group should create a structure that delegates decision-making authority to a designated leader, rather than requiring amorphous consensus style decision-making. When TSHTF the last thing you want is a lengthy existential debate about should you/shouldn’t you be bugging out yet. Create a consensus list of parameters for what constitutes a bug-out event, and then designate one, two, or three people to be the committee who decides, on behalf of the group, when to pull the trigger and initiate a bug-out, and, most of all, get all group members to solemnly agree to then abide by that decision, whatever it is, and whenever it is made. There is another important factor to appreciate – one we have way too much personal experience of, and if you’ve not been in a leadership role in the past, you might not yet have encountered it. We’re not now talking about decision-making, but rather about how the people in the group behave when implementing the decisions. The classic example we’ve seen is on group tours. You get a group of sensible, capable, aware and experienced travelers, all of whom have traveled by themselves in the past, but now they are on a tour bus with a tour leader, they seem to switch their brains off. They become like helpless little children, needing to be told everything (repeatedly!) and not thinking for themselves or for that matter, thinking about the others in the group. 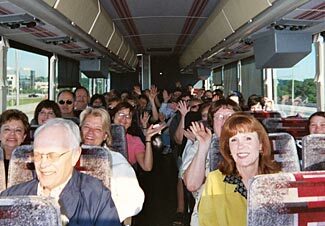 The tour leader needs to shepherd them from the bus to wherever they are going, keep them together, and make sure they all get back to the bus before it leaves – the individual people seem to lose their ability to plan for themselves, to find their way, and definitely lose all sense of time. The thing is that their thought process – whether consciously or unconsciously – goes ‘I don’t need to pay attention, I don’t need to be focused, because I now have someone who is responsible for ensuring that nothing bad happens to me’. When you add the truly mind-numbing shock of TEOTWAWKI, you’ll find that the people in your group will require a high degree of ‘hand-holding’ and you’ll need to reduce your assumptions about the degree of self-responsibility and initiative your people will display. Even if you were counting on people ‘fending for themselves’ you need to assign duties and responsibilities and coordinate things. Otherwise, you’ll find clusters of too many people all choosing to attend to some tasks, while other tasks go largely ignored and overlooked. Things will improve once people create a new comfort zone (ie at the retreat) and a new routine and everything else, but for the bug-out process, you’ll need to provide a carefully structured process for them, where everyone understands exactly what they should and should not be doing and what is expected of them. Group dynamics and decision-making can be very different to those in corporations and families. You need to understand these differences and then structure your group so as to minimize the pitfalls and maximize the efficiency of the essential decision-making processes associated with initiating and managing a bug-out procedure. You do this by structuring the group in advance, anticipating what issues will exist, and creating agreed upon procedures and a hierarchical system of leadership. Traveling as part of a group can be great, but only if the inherently anarchistic elements of such a group are tamed and controlled. This is the first part of a six-part series about bugging out as a group. Please now read on through the other parts of this series. This 1999 Prevost would be a lovely bug-out vehicle, and has seats for 56 people. Here’s a really off-the-wall concept, but don’t reject it out of hand. There are several aspects to this suggestion, and if you consider it carefully, it might open up exciting and extending new prepping opportunities. Think about the problems we all face as preppers, if we live in cities. First, ideally, we’d like a retreat some hundreds of miles from our city location; indeed, depending on where we live, maybe even a thousand miles or more away from the city. But how can we be sure we can safely and conveniently get there in an emergency? Second, ideally, we’d like to move to a retreat with a group of other people who we already know and who we’ve ‘quality controlled’ in advance. This enables us as a group to create a retreat community for mutual support and greater overall viability. But, living in the city, we have no chance to build up a community presence where our retreat is or could be located, and the same problems that make it difficult for us to maintain a ‘dual life’ as between our city life and our standby retreat are at least as discouraging for other potential group members, who might be less committed up front to the prepping ideal than we are. You doubtless already know these problems, because we all face them, every day. Now for an unexpected solution – a bus. Create a prepper group among your family members, friends, neighbors, and colleagues, in the city. It is probably easy to find some other couples who would ideally like to join a prepper community, but the challenges of doing so has put it in their ‘too hard’ pile, the same as you. Having a bus as an easy/convenient way to travel from your normal homes to your retreat might encourage them to become more participative and supportive of the overall retreat/prepping concept. Then, when you have your community members, buy a second-hand bus. Share the cost as best you can among the group of you. The very good news is that a 40 – 60 seater bus, probably ten or more years old, is not going to cost you a great deal of money. We’ve seen ideal buses priced anywhere from as little as $10,000 to no more than $100,000, and when you split that ten or twenty or more ways, it becomes very affordable on a cost per person basis. Now here’s the thing. Think about the capabilities the bus gives you. First, it gives you the ability to transport a large group of people together with a large collection of supplies. Sure, we know that you should have everything you need pre-positioned at your retreat, but we also know there are sure to be personal and essential items that you keep with you, wherever you are, and we know that if/when you need to bug-out, there are things you need to bring with you – both to ensure your safety on the journey, and last-minute essential items to have for when you get to your retreat. Second, if you make an appropriate choice of bus, it will have a rest-room on board and 150 – 250 gallons of diesel in its tanks, giving you 1,000, maybe even 2,000 miles of nonstop range. You don’t need to stop for anything (except swapping turns at the wheel). Maybe it also has a kitchenette/galley so you can boil water and prepare some snacks, and if the 1,000+ miles you can go on the diesel in its tanks isn’t enough, you can readily carry hundreds more gallons in the bus’s capacious storage lockers. Truly, a bus could convey your group pretty much from coast to coast without stopping or needing to rely on the ability to refuel or on any other external dependencies at all (other than the ability to find open roads to drive on). So, what do you think? Crazy idea, or exciting idea? Hopefully you can see the possibilities and the potential, so please now continue on to read the other parts of our new series all about using a bus as a bug-out vehicle. We also have other articles on other aspects of the broader general subject of bugging out. 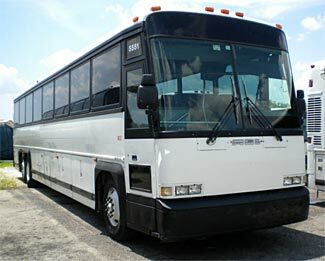 This large 55 passenger 1996 MCI bus could be yours for about $25,000. This is part of a series on using a bus or coach as a bug out vehicle. If you arrived here from a search engine or link, you might like to consider starting your reading at the first article in the series, and then working through the complete series in sequence. But you’re of course free to roam through the series in any order you wish. Links to all the parts are at the end of this article. If you’ve not thought about a bus as a bug-out vehicle before, you can probably immediately think of some issues and problems with the concept, but hopefully you’ll also see the positives. Sometimes the positives may outweigh the negatives, but sometimes they won’t. But let’s look first at the minus issues, then move on to the positive reasons in favor of a bus. Oh, one more thing. Let’s understand the naming convention, too. We are incorrectly using the term ‘bus’ to describe the conveyance we are discussing, because it is the generic term most people loosely use. But we should explain that, to the purist, a ‘bus’ is a vehicle designed to uncomfortably transport people short distances. It is the vehicle used by your local city metro public transportation services, and will have hard small seats, room for standing passengers, probably a low floor rather than a high floor, no restroom or other comforts on board, little or no space for luggage, and probably travels fairly slowly. What we have in mind for a retreat bug-out vehicle is a tour bus or a motor-coach (often simply called a coach). This is a vehicle designed to carry people comfortably and long distances. It has a high deck, giving good views for the passengers and allowing for capacious luggage compartments underneath the coach’s passenger compartment, used to hold passenger bags, spare parts, and whatever else. 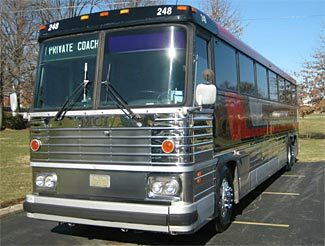 A coach has a powerful diesel engine capable of moving the bus at freeway speeds, it has comfortable seats that probably recline, it has air conditioning, and sometimes a tiny restroom and maybe even some type of kitchenette or galley facility too. Don’t confuse the local transit bus with the long-distance tour bus. We are exclusively considering tour buses, not transit buses, in this article series. We generally use the word bus rather than coach, but we always mean tour bus, not transit bus. There are two main downsides to using a bus as a bug-out vehicle for a group of people (let us know if you can think of more!). The first is that a bus is more unwieldy than a private car or a motorcycle. It is less likely to be able to travel on dirt/gravel forestry type roads, it is slower and unlikely to be able to out-run any pursuers in cars, and it is a much larger target; although being a larger target does not necessarily also make it a more tempting target – some potential attackers, if they understand the bus is full of people willing to aggressively defend themselves, might choose to leave it well alone! The larger size and weight of the bus makes it more dependent on quality roads and bridges, and it also of course has height clearance issues too – not a problem on most regular roads, but may be a problem if you’re needing to detour on back country roads that seldom see trucks and buses. The second downside is that with a group of people all on one bus, you have put all your eggs in one basket. If the bus has a mechanical problem of any sort, or is involved in an accident, then the entire group risks ending up with no transportation at all. Compare a bus with ten couples in it to a convoy of ten private cars – if any one or two or even three or four cars failed, the people in them could be conveniently loaded into other cars and everyone could still continue on their way. There is a partial solution to this – get two buses! But even two buses are more vulnerable than ten cars. So you need to carefully understand the pluses and minuses of consolidating your transportation into one or two coaches, or splitting it into many private cars. Okay, enough of the negativity for now. Let’s look at the other side of the coin – benefits of using a bus (or coach, if you prefer) as a bug-out vehicle. Our first point is to acknowledge that the benefits of a bus vary depending on the size of your group and the distance you would travel to your retreat. The more people who would be traveling together, and/or the longer the distance to your retreat, the more beneficial a bus becomes. There’s little good sense in having a bus if there are only two other couples traveling with you, and your retreat is only 150 easy driving miles away. But if you’ve managed to get ten couples together, then a bus may be more convenient than separate vehicles, and if your retreat is 1500 rather than 150 miles away, a long-range motor-coach might be a more comfortable and secure way of traveling the long distance. We really like the ability of a bus to travel very long distances, non-stop, being completely self-contained, having its own restroom, basic food preparation capabilities, and carrying all the diesel that is necessary for the entire journey. While it is true that any normal car has potentially a lot of storage space in it, especially if it has only one or two people in it, if the number of people increases, and if much of the trunk storage space is taken up with canisters of extra fuel, the storage space might end up as very minimal. But a bus will potentially have 15 – 20 cubic feet of storage space per person in its storage bays underneath the passenger compartment (the actual amount of course depends on the size of the bus, the number of people, and how much space might be taken up with spare parts for the bus and extra fuel). In addition, assuming the passenger compartment isn’t totally full of people, there will be lots more storage space in the passenger compartment too, both in the overhead racks above the seats and wherever there are empty seats. Even if you don’t need the storage space to bring essential items to your retreat, you can use it to store potentially essential items to ensure the safe completion of your travels to your retreat. Spare tires, fanbelts, hoses, extra fluids and filters and any other essential parts that can be conveniently replaced and which could fail – you should have plenty of all of these with you. The main consideration when weighing up the concept of investing in a bus is probably the size of your group. To make best use of a bus, you need to have ideally ten or more people; any less than about eight and a bus is an unnecessary complication (and probably an unnecessary expense) rather than an added value improvement. On the other hand, if you do have a bus, that might help you grow your group, by offering a very convenient easy way to bug out together. And while we’ve been focused on the minimum size for a group to make a bus viable, the larger the group, the more and more viable the bus becomes (and the larger the group, the more viable your retreat community becomes in general, too). You can almost certainly accept 40 – 50 people onto a single bus (or, for the sake of safety through redundancy, two buses). But don’t buy the bus until you’ve built your group! This is part of a broader series of articles on the concept of using a bus as a bug-out vehicle. You can see our other articles, conveniently linked below, and of course, we have plenty of other articles on the broader subject of bugging out as well. Coaches such as this 1982 MCI 47 seater are about as generic and ordinary looking as possible. Buses come in almost as many makes and models and variations as do passenger cars. It can be hard to know what to look for when first approaching such an enticing range of choices and options. This article is not intended to be a complete buyers guide to buses, but rather, it looks at the specific issues to do with selecting a bus to be used as a prepper’s bug-out vehicle. The factors you consider in such a case are of course different to the factors a local church group might consider when seeking a vehicle to take members from an adjacent car-park to the church door. Some things also are so self-evident as to not need stating (don’t get a bus that is half-way rusted through, or if the engine won’t start, etc! ), and others are covered in the next part of the series, which looks at things to consider when buying a bus. The first thing you want to understand is the range the bus offers on its tank of diesel. How many gallons does it hold, and how many miles per gallon does it provide? The fuel economy of course varies depending on the total weight of the bus and the type of driving you’d be doing – you can make reasonably accurate guesses about both. You know the route you’ll probably take to your retreat, the distance, and the type of driving needed, and then of course allow a major ‘what if’ factor on top of that to give you a safety margin of extra fuel, ‘just in case’. You also will have a sense if you’ll be fully loading the vehicle with passengers and gear or not, based on the number of people in your group, and the probable total weight of them and the gear you take with you, so that helps you to know if the fuel economy will be higher or lower than standard. It goes without saying that the bus must be able to get you all to your retreat with only the fuel in its tank and whatever additional amount you have stored in its luggage compartments, with a reasonable remaining reserve of fuel for ‘just in case’ issues that might arise. If it can’t do this, you need to look at other buses than can. As a general rule, you’ll see quite a wide variation in mpg performance of coaches. We’ve seen some heavy coaches (50,000 lbs GVWR) with claims of as much as 8.5 mpg on their manufacturer’s websites, and we know of coaches that regularly provide 7 – 8 mpg on the open road, but we suggest you start off with a pessimistic expectation of 6.5 – 7 mpg, and then adjust upwards if appropriate. The next thing we suggest you consider is exactly how much weight the bus can take. To understand this, you need to understand the maximum gross weight of the bus and also its ‘wet weight’. The wet weight should be how much the bus weighs, empty but with a full load of fluids – fuel, coolant, oil, and also water for the restroom and drinking water for passengers. The difference between the wet weight and the gross weight is how much extra weight you can load onto the bus – extra fuel (diesel is heavier than gasoline and weighs about 7.15 lbs/US gallon), people, spare parts, supplies, stores, and whatever else you might load onto the bus. Talking about weight, we’re going to assume the bus you select has a GVWR greater than 26,000 lbs. That means your drivers will need to have Class B commercial drivers licenses, and they will need to follow the requirements for maximum driving time, rest times, etc. This can be addressed by having multiple drivers on the vehicle if you are planning for a long distance nonstop journey. If the GVWR is over 33,000 lbs that makes it a Class 8 vehicle. Between 26,000 and 33,000 lbs is a Class 7 vehicle. You should also consider not just the bus’s weight carrying in terms of pounds, but also in terms of cubic feet. Although that probably won’t be a problem, because you can carry some stuff in the passenger compartment, it is still good to know just how much space there is underneath the coach for heavy and bulky items. This might seem obvious, but some buses are bigger than others. There are two standard widths for buses – 8′ (96″) and 8’6″ (102″). This width does not include the extra width taken up by outside mirrors. The wider bus is of course more comfortable inside, but slightly harder to keep in its lane on the road. You’ll probably have non-professional drivers, and so might find the six-inch saving to be helpful. The length of a bus depends on how many rows of seats it has (and the spacing between each row too of course), and you don’t want to go over 45′ if possible. 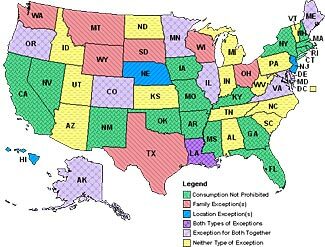 Some states have maximum length regulations which start to kick in at 45′. This is unlikely to be a problem, because you’re unlikely to need or want a maximum sized bus. In general, the shorter the bus, the easier it will be to drive and maneuver, so if you have a choice between a longer and a shorter bus, then, if all things are equal, get the shorter one. On the other hand, all things are rarely equal! Do make sure you’ve a bus that is big enough for all of you, plus able to absorb a few more people and a few more things, too. From that perspective, better to be a little ‘too big’ than a little too small. You’ll need to decide where the ideal compromise point is for your group, and as we mention in our article about the pluses and minuses of using a coach as a bug-out vehicle, in all seriousness, if your group size grows beyond a certain point, you would be much better advised to operate two smaller buses in convoy than one large bus traveling alone (due to the added ‘fault-tolerance’ you get from two buses – if one has a failure en route, you can hopefully squeeze everyone onto the second and still complete the journey). Bus heights vary too. Generally most roads are built to have a minimum clearance of 13’6″, with occasional exceptions, particularly on secondary and local roads. If your bus is taller than 13’6″, you might start to encounter problems, and you’d have to scout out your route to check if/where you would run into problems and how to bypass them. You will ideally also have some antennas on the top of your bus, and while you could have very short little antennas, the longer they are the better, so the less tall your bus, the more air space above it you have to ‘fill’ with antennas. One more thing about bus heights. Don’t get a double-decker bus. They have lots of limitations and problems. They might look nice, and can be fun for a short around-town sightseeing tour, but they do not make good comfortable touring buses. The main reason for this is that the bus’s motion is magnified on the upper deck, and unless you have smooth straight roads, you may find the rocking and swaying on the upper deck is unpleasant and uncomfortable. Their top-heavy nature also reduces still further their performance and cornering. You’re not going to be aggressively cornering in any bus, but a double-decker is even worse than a regular bus. While you’re thinking about dimensions, have a thought about ground clearances, too. Does the bus have adjustable air suspension and can it be lifted up higher than normal if necessary on rough and uneven ground? What are the maximum approach and departure angles it can handle? Of course, you also need to understand what the requirements for other than ordinary normal road driving might be on your bug-out route and any alternates you might need to consider as well. You also need to appreciate that you don’t need your bus to be able to get all the way to the front doorstep of your retreat. While that would be wonderful, the key requirement is to use it to get to within the last mile or so of your retreat. Once you’ve got to that point, you’re presumably in a fairly safe location, and your group members can complete the short remaining balance of the total journey any which way. Maybe one member of your group can walk or bicycle or whatever the short distance to the retreat, get some sort of other vehicle from the retreat, and use it to ferry your group the short distance to the retreat from the bus (and to transport any heavy/bulky freight that was brought too). So if there’s a narrow windy uneven forestry road leading the last half mile up to your retreat, it isn’t essential either that you improve the forestry road to handle a bus, or that you get a bus with off-roading capabilities. It is perfectly valid to consider some other approach to get your group that last remaining distance, and that will allow you to be more realistic about the capabilities of your coach. Here’s an interesting point that you should think about carefully. You don’t want your coach to ‘look like a million dollars’; on the other hand, you don’t want it to look like a hippy/beater of a bus, either. As well as general appearance and condition, you also don’t want a bus that is either unusually old or brand new, either (although it is much more difficult to identify a brand new bus than it is to identify a brand new car). You want your coach to look functional, utilitarian, ordinary, and not out-of-place in a varying range of situations. Although it is hard to identify a brand new coach, it is easier to identify a very old one (ie 1970s or earlier). So perhaps try to choose one that doesn’t date back beyond the 1980s and choose a body style and shape that is as inoffensive and unremarkable as possible. 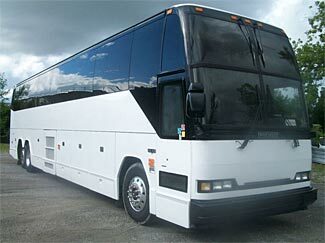 From the point of view of not looking like a million dollars, we would argue against a Mercedes branded coach. If you do get a Mercedes coach, you might want to consider removing the badges so that it becomes a generic rather than ‘deluxe’ seeming coach. The very first thing you should do with any coach is make sure it has a plain paint job, and we’d suggest no identifying marks or logos on it. You can decide what color is best, but we’d suggest that urban camo is not the style to use! It is also probably best not to add lots of ‘aggressive’ accessories to it such as bull bars or winches or other ‘off-roading’ or ‘expedition’ type equipment – leastways, not to the outside that are plainly visible. Do whatever you like to the interior, and also keep accessories and equipment in the cargo bays ready to deploy as may be needed, but don’t have them visibly installed unless you do indeed need them. Talking about the interior, we also suggest that windows should be tinted, so as to obscure who is inside. You don’t want to have such a high degree of tint as to become unusual, but enough tint to reduce the visibility of the people inside keeps other people guessing, and the less they know, the better it is for you. It goes without saying that the more powerful the engine, the better. When looking at power, you should consider it in the context of the likely total weight of the vehicle when you drive it to your retreat. How many pounds does each horsepower have to manage? The fewer, the better. Private cars can have as few as 10 or less pounds per horsepower (very fast sportscars) to something over 20lbs/hp (stodgy cars). But with buses, you’ll have massively more pounds per horsepower than even the most underpowered car. The most powerful ratio we’ve seen is about 90 lbs/hp, and the least powerful is more than 130lbs/hp. Most modern buses seem to be in the 110 – 130 lbs/hp range. Something else you should look out for is the type of transmission. You want as many gears as possible – hopefully six, and ideally many more. Older buses will have fewer gears than newer ones. The diesel engines in buses have a very narrow power band, much narrower than in a gasoline powered passenger car, and so you will need more gears to keep the bus in the sweet spot, power wise, no matter what speed it is proceeding at. Extra gears are particularly beneficial when climbing hills. These days most buses have automatic transmission, but some buses (particularly older ones) have manual transmissions. If you get a manual transmission bus, you should understand if the gears have synchromesh on them or if they have an old style ‘crash’ gearbox. If you have a crash style gearbox, you will find it more difficult to change ‘up’ gears (ie going from 4th gear to 3rd gear, etc). It would be very nice to have ABS on the bus. Hopefully you’ll be driving safely and sedately on the way to your retreat, but you have no way of knowing when some other vehicle on the road won’t do something stupid, and ABS might make all the difference between a close call and a nasty accident that disables the bus and prevents you traveling the rest of the way to your retreat. As truck and coach drivers well know, some passenger car drivers act crazy around large vehicles, cutting in front of them and generally failing to appreciate the space needs large vehicles have. You’re not seeking a deluxe ultra-luxurious experience, of course. This is a bus you’ll probably only ever ride on a very few times – there will be occasional ‘rehearsals’ for the group and then of course, a ‘for real’ bug out at some time. But there are some things you should have. Most important of all is a rest room on board. This is for two reasons, one obvious and one not quite so obvious. The obvious reason is, of course, so you can travel long distances without the need for ‘comfort stops’. The less obvious reason is that a ‘comfort stop’ takes a terribly long time when it is a group of you on a coach, and will need to occur more regularly than if just two of you in a private car. Unless you have an unusually disciplined group, when you make a comfort stop you will first take several minutes while people meander off the bus, then the women will make their way to the ladies’ restroom and the inevitable waiting in a long line occurs. Some people will stop for a smoke, if there is a store nearby some will go to the store, and annoyingly, some will only do these things at the very last minute. Then you have time to board everyone back onto the bus again, and wait for the last few stragglers. There’s no way this can be done in less than 20 minutes, unless you’re somewhere with lots of stalls and have a very disciplined group. Furthermore, if there is no onboard facility, you’ll find you need to make comfort stops more regularly than you expected. Some people like to swill several cups of coffee immediately prior to a journey, then ten minutes into the journey discover an urgent need for a bathroom break. Others will drink on board, a few people might have prostate issues, and maybe someone has an upset stomach. Sure, we’ve been on 2 – 3 hour nonstop drives with a coachload of passengers and no bathroom, but there have been a few very unhappy and uncomfortable people among the group by the time we finally got to a comfort stop! One last thing about comfort stops. Depending on the degree of collapse when you bug out, you may find many fewer places with ‘normal’ restrooms available for travelers. Another reason to seek out a bus with its own self-contained facilities. Note that some bus restrooms have a washbasin, others do not. It would be nicer to have one that comes complete with a washbasin. It might pay to check how many gallons of water can be stored for use in the bathroom and how many uses/flushes that gives you. Check also what the capacity of the holding tank is, and how easy it is to dump the contents of the ‘black water’ (and ‘grey water’) tanks – the bathroom’s capacity is of course limited both by the amount of fresh water available and, until you can dump it, the amount of black water it can store. If you have a choice between a bus with two entry/exit doors and a coach with only one, take the double doored bus every time. It can make a big difference in loading/unloading time, particularly in an emergency (see our separate article on tactical considerations). Older buses have a front door that swings open, more modern buses have doors that slide open. The sliding open doors are preferable because they don’t require as much clear space alongside the bus. For a similar reason, if there is a bus with openable/closable emergency exits, rather than one where you must smash a window out of the frame, the one with proper emergency exits is again preferable for tactical reasons. The same for a bus with a door for the driver. Some coaches have a separate entry for a wheelchair. If that is something you need, it would be nice, but if you do not need it, there still might be value in having that feature because it provides another entry/exit, particularly if you need to exit the coach in a hurry for, ahem, ‘tactical’ reasons. If you anticipate a long journey to your retreat, it would be nice to have a basic kitchenette on the bus as well. The most important capability is being able to boil water – if you have hot water, you can make coffee, instant soups, and instant noodles. Beyond that, a microwave would greatly increase the range of food items you could heat up, and a bit of bench space and even a tiny sink would help still further. A refrigerator is also good to have, but in an emergency, any type of cooler bin would be satisfactory. One other thing that seems to vary a bit from bus to bus is the overhead storage inside the passenger compartment. The more overhead space to put things inside the passenger compartment, the better. Some overhead space is an open parcel shelf type, and sometimes it has doors that can close like on a plane. But whether it has doors or not, you need to realize that this space is massively smaller than on planes (because there’s not as much vertical height available). Your people won’t be able to bring as much stuff into the passenger cabin on a bus as they can on a plane – well, not unless you have a designated area where people can pile up their bags. A typical rollaboard type bag will not fit in the overhead, and the overhead is probably not built to hold great weights, either. It really is intended for only things like jackets and other outer clothing, and a limited number of true essentials for the journey. Your people need to realize that the benefits of carrying luggage onto a plane aren’t applicable on a coach. There is no way their bag can be lost if they place it, themselves, in the under-floor cargo compartments, and there’s no measurable extra delay in getting on or off the coach if their luggage is underneath rather than in the coach. Only essential items for the journey should be in the passenger compartment – food, drink, meds, books, etc. It seems common on more modern and upmarket coaches to have DVD players and flat panel screens positioned around the coach, and some even have at seat power – either 110V and/or USB power sockets. These things are entirely unnecessary in your situation, but if they are provided, well, you wouldn’t refuse it, would you. And, when negotiating on the price of the coach, if it doesn’t have such things, you could pretend it was important to you and ask for a price reduction as a result! You are choosing a bus for a very utilitarian purpose – the prime mission is for the bus to get you safely, securely, and certainly to your retreat in an emergency situation. Nothing else much matters, as long as the bus is guaranteed to fulfill its only purpose and mission. You can compromise on any of the ‘nice but not essential’ features, just so long as you don’t compromise on the ‘must have’ features. Perhaps the most important consideration of all is one we’ve not yet touched upon – the reliability of the bus. We discuss those issues in the next part of this series. At the risk of complicating issues, if you do end up with a good quality coach, there might be tempting opportunities to charter it locally, and for reasonably good sums of money too. That might be an interesting sideline or even main business for you, and one thing is for sure – coaches like to be driven. You won’t wear it out by adding another few hundred thousand miles onto it, and will be keeping up to date with any issues that might be developing and needing attention. But that’s a very optional ‘extra’ or ‘bonus’ consideration way removed from the core purpose of owning some type of coach. Don’t get distracted by it – but don’t overlook it, either.